A LIFELONG LOVE OF SOCCER. All FC Royale coaches have played collegiate or professional soccer and are capable of demonstrating skills, movement, and positioning in a way that models the proper form for FC Royale players. These hands-on interactions inspire the kids, not just by their demos in practice, but through what each coach has achieved on and off the field. Our qualified coaches provide the same commitment and investment in each child, regardless of skill level or experience. Our club takes its relationship with your child seriously. Coaches work to find a connection with each player, no matter the personality type, and ignite what motivates them. When players know their coach is vested in them and not just results, that bond raises the level of engagement, play, and fun. David leads with his passion for the game. After playing professionally and working with various soccer clubs in the area, he recognized the need for a club centered around quality soccer, that didn’t sacrifice playing style for results. This led to the formation of FC Royale in 2014 with his wife, Alexis. When he’s not on the soccer field, he can be found sampling ice cream, cheering for AC Milan, or chasing his two young daughters around – sometimes all at once. Alexis resides in San Francisco with her husband David and their two daughters. She has three sisters, one of which also played on the US Futsal Women’s National Team. The ultimate multi-tasker, she is currently teaching full-time, coaching several teams, studying for her masters in kinesiology, and raising her two young girls. All while keeping her top-rated arcade basketball skills on point! A few of Jared's career highlights include scoring the opening goal of the 2008 ODP National Championships, earning a top 25 ranking with his club team during high school, and being named to the Team of the Week in 2013 while playing professionally with the Piranhas. 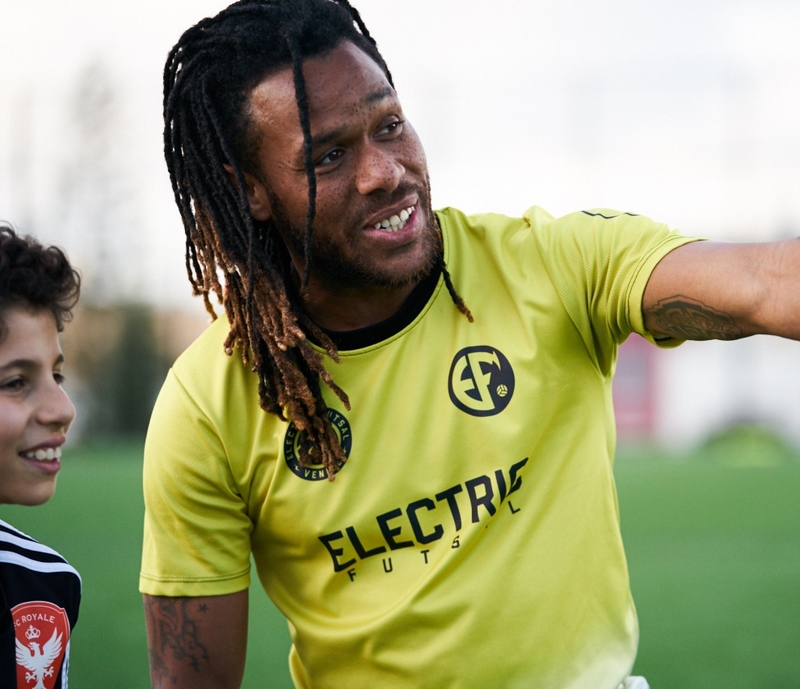 Not only does Jared work with youth teams, but he also coaches adults experiencing homelessness and addiction recovery through the Street Soccer USA organization. Jared is a dedicated supporter of Southampton FC – Come on you Saints! His extensive professional playing and coaching experience abroad, gives Chris a unique perspective and understanding on player development. The training techniques and standards he implements, push each player. Chris is happy to be back in the bay area with his wife, daughter, and his fetch-obsessed dog, Flip. He can also run a 3.94 30-meter dash. For reference, that's fast! Michael "Molo" Molinari brings passion, energy, and the right kind of experience to FC Royale. Growing up in Alameda, CA, Michael played high school ball at Saint Joseph Notre Dame where I was recognized with first team all league honors. While Michael still works full time as a program coordinator at Habitat for Humanity for both the Eastbay and Silicon Valley, his passion for soccer has grown from player to coach, and brought him to us! Michael's self proclaimed greatest accomplishment was winning a poetry contest in 8th grade put on by Alameda county for Earthday. While growing up in Modesto, Kyle not only excelled at soccer, but was also crowned the top high jumper in his district during his two-year stint in track and field. He is able to juggle a soccer ball to exhaustion – the ball, not him. Being half-English, he grew-up supporting Manchester United and still follows them religiously. Kyle is currently the only FC Royale coach to appear in a viral YouTube video (with 1 million+ views!). Michael was born and raised in San Francisco, with a brief stint in the East Bay during elementary school. Michael's competitive spirit extends beyond just soccer. He was also an amateur boxer for five years, and was runner up in his age division for the state title. 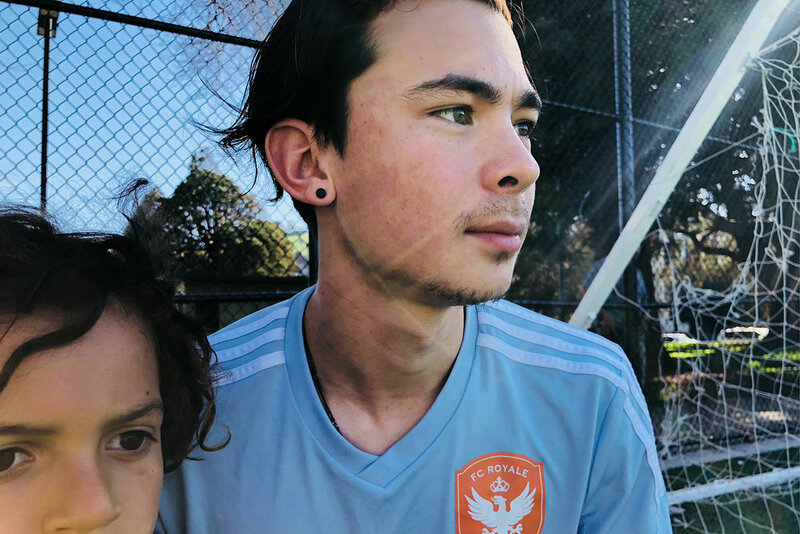 Born and raised in San Francisco, Rei has worked his way up through local clubs and is excited to share his knowledge and experience with our players. 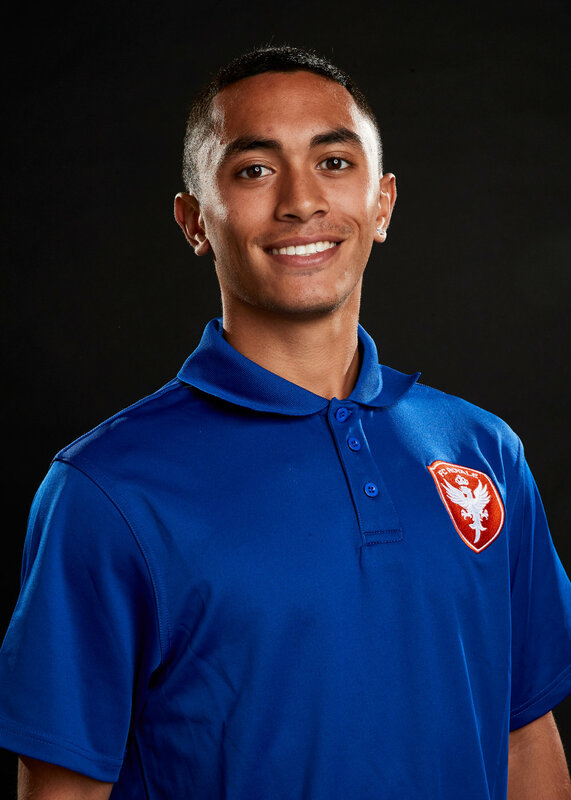 During his youth career, he earned a spot on the ODP Region 4 All-Tournament team and won the Generation Adidas Cup Western Conference Championship. More recently, he was named Cal State Fullerton’s Rookie-of-the-Year, and was selected for the Big West All-Conference Freshman team. A San Francisco native, Bianca has played for a number of San Francisco youth clubs and currently plays collegiate soccer at the University of San Francisco. Growing up Bianca also spent time with the San Francisco Ballet, where she performed in five seasons of The Nutcracker, before she hung up her ballet slippers to concentrate solely on soccer. When she’s not playing, she enjoys sharing her love of the game and her Ronaldo chop technique with all of the children she coaches.